Very lucky to be a guest designer over at Die Cuttin Divas this week. Thanks Georgiana for the invite. A new challenge starts each Tuesday with a new theme. You do have to use a Die Cut in the making of your project. This weeks challenge theme is Birthday. So I made this this adorable card using a die cut Shirley, Goodness & Mercy Chicks from My Scrap Chick. Hop on over and link up your birthday projects this week. This is ADORABLE! Thanks for being our Guest Diva this week at DCD! What a super adorable birthday card!!!! I Love the adorable chick image you used!!!! And the inside looks great too!!! Thanks for being our guest designer this week at Die Cuttin' Divas! How absolutely adorable!!! I just love little Miss Chickie and the pink is so pretty! Enjoy every minute you have with Corbin (I know you will)! Our crew will be here Friday! We can't wait to see Ruby!!! Super cute birthday card! The chickie is so fun and so stinken cute! Congrats on GDT at Die Cuttin Diva's! What a sweet card, that chick is just the cutest! 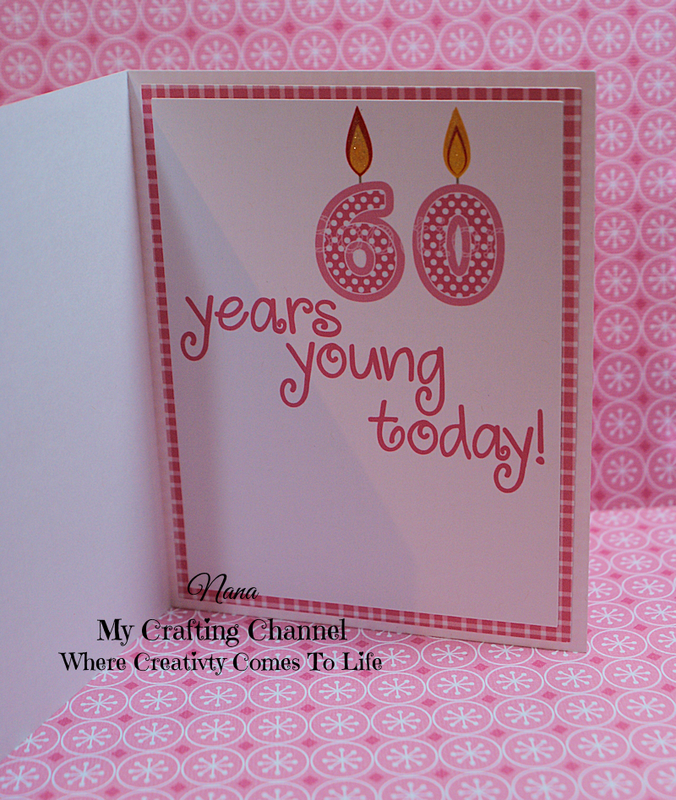 I love the pink patterns you used for your card too! Congrats on the guest designer spot! Absolutely adorable my friend!! This chick is TOO cute! Congrats on your GD spot over at DCD! Oh my your card makes me smile.... So chickie cute... love it very much... And I'm sure the birthday chickie enjoyed her card too. Oooh how cute is this!! Way to cute! Love that chick!! Thanks for being our Guest Diva this week at Die Cuttin Divas. Oh how CUTE! Your card is ADORABLE Nana! Congrats on your GD spot. This cute chickie card has me chuckling. SO adorable. I am chicken sitting for my neighbor right now. They are cute but not as cute as this one. Such an adorable card!! Thanks for being our guest designer at Die Cuttin' Divas this week! What a cute little chick! She is so sassy - love her hat. Great sentiment and the inside is adorable! What a super duper cute chick! Thanks for being our Guest Diva this week!